A trip to the barbershop is supposed to be a time of male bonding and proper grooming. This is where men and boys come together to talk about things like sports, news and women. 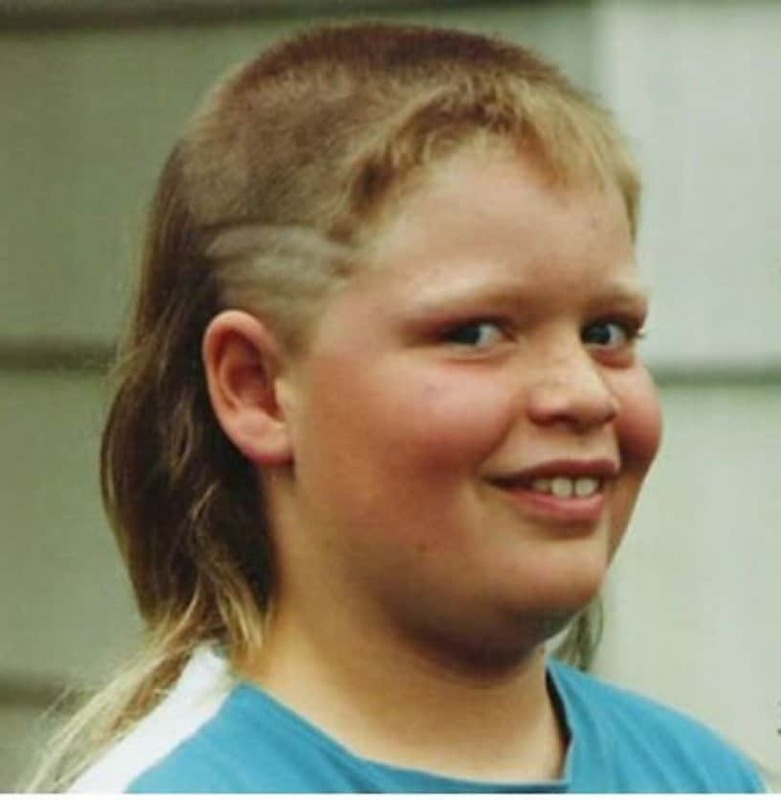 When leaving the barber shop you are supposed to look even better than you did upon arrival. 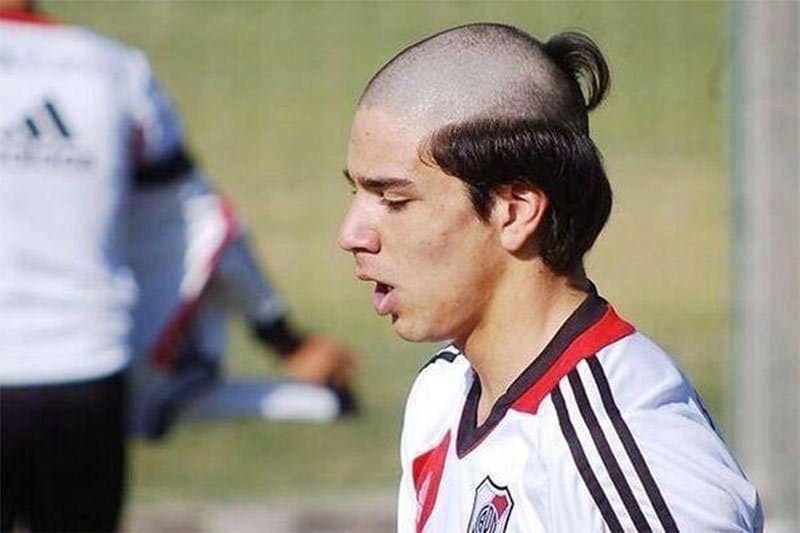 However, there are some situations when this is not the case, the actual haircut may end up looking worse than before. 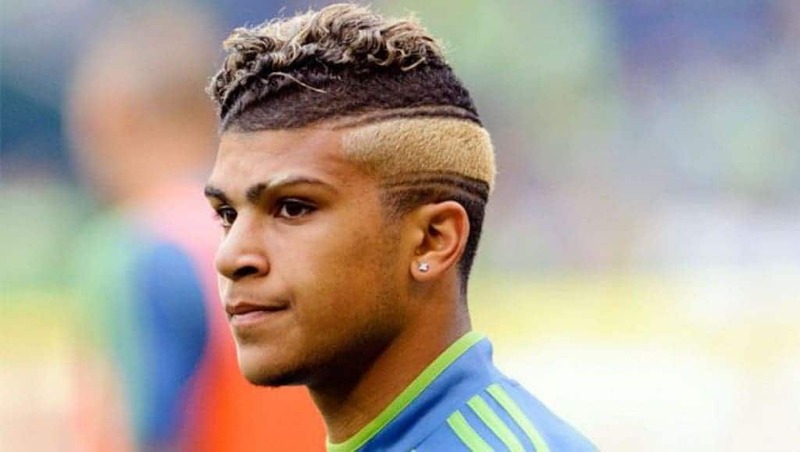 But nothing can be worse than the haircuts that are featured in this list. 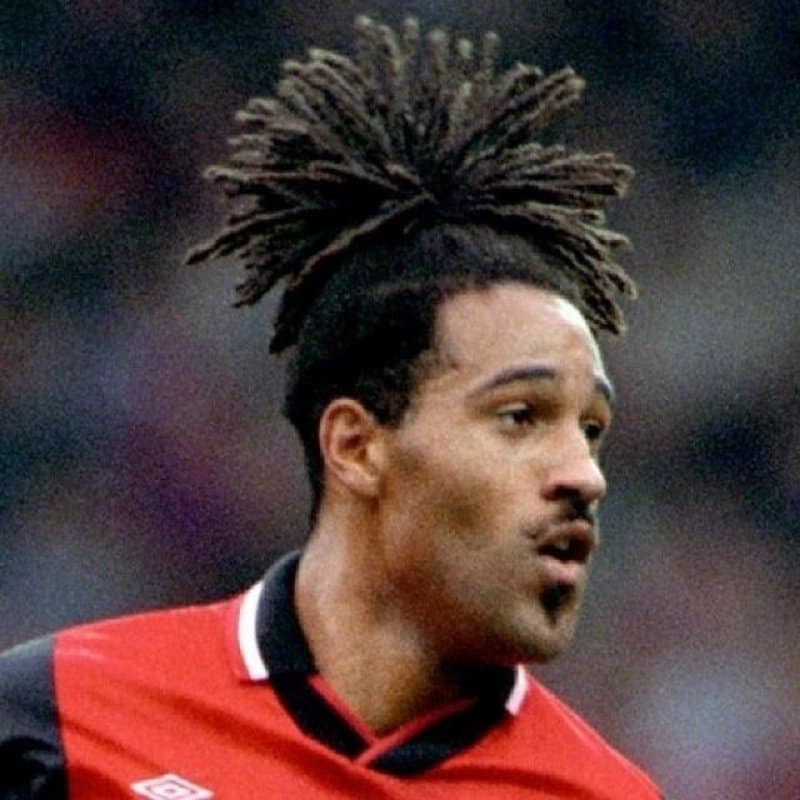 These images depict some of the ugliest haircuts of all time. Check them out and see if you agree with us. 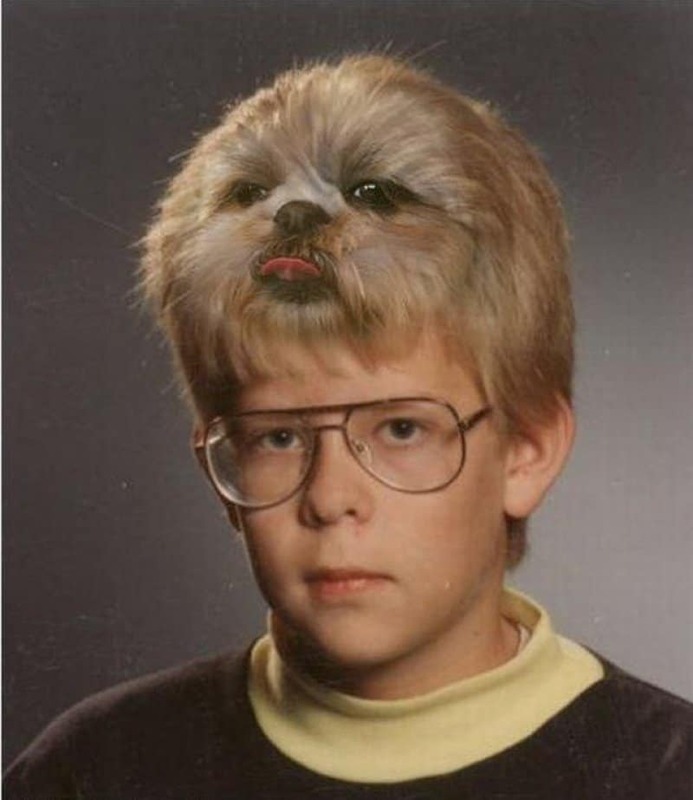 This young man has immortalized his dog by having his hair cut and designed in his image. Alright, this isn’t actually real, but imagine seeing this. 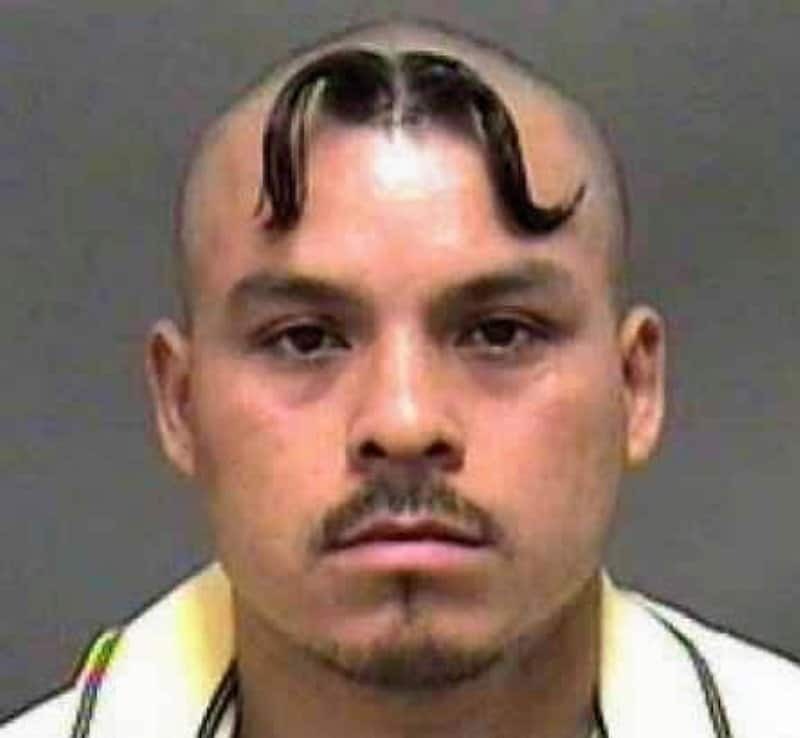 One mustache wasn’t enough, this man had to get a second one on his forehead. 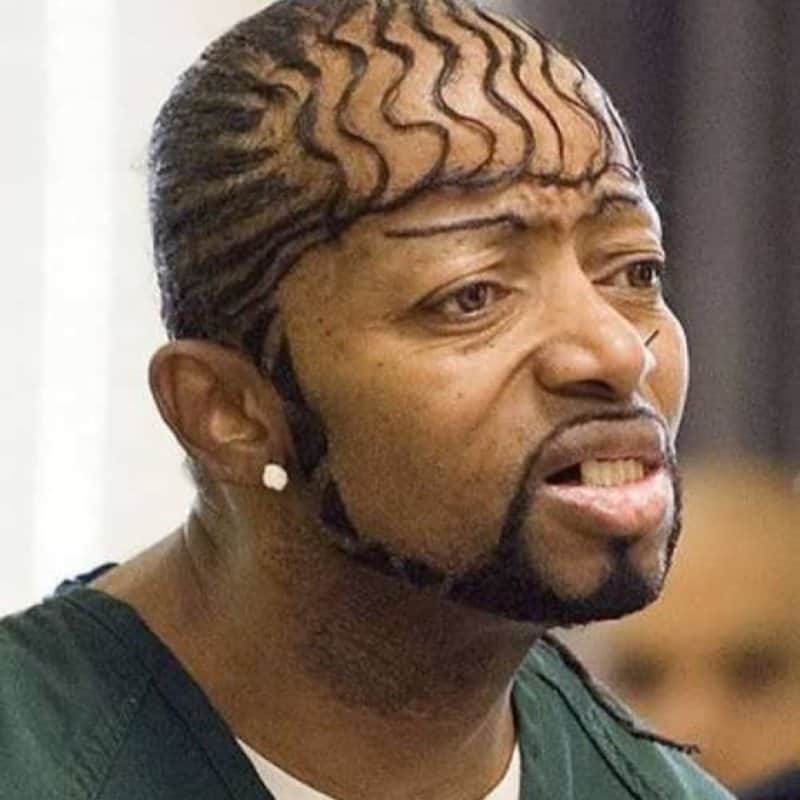 This man decided to hide his forehead by having his hair come down in squiggly curls. 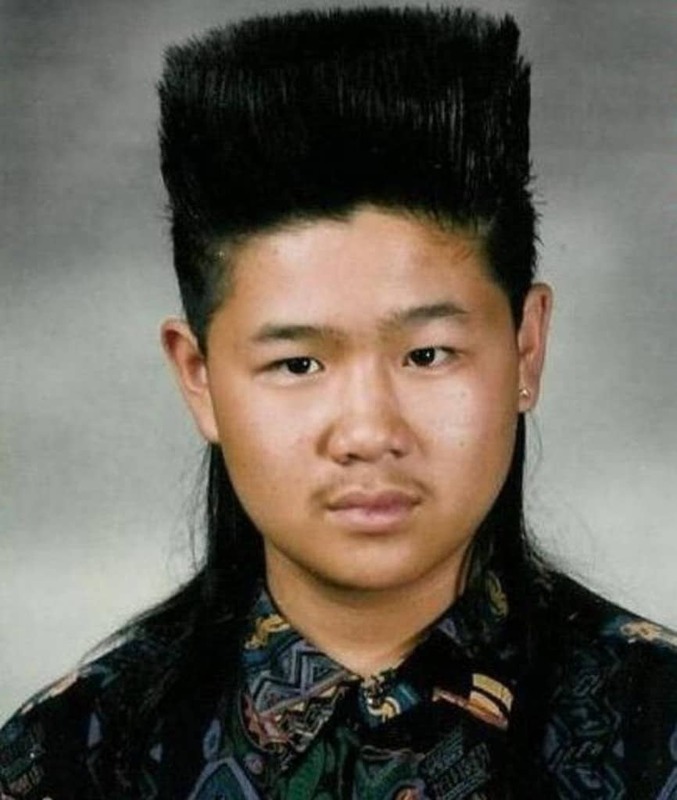 This young man liked the flat top haircuts of the eighties so much he incorporated spikes into his design. 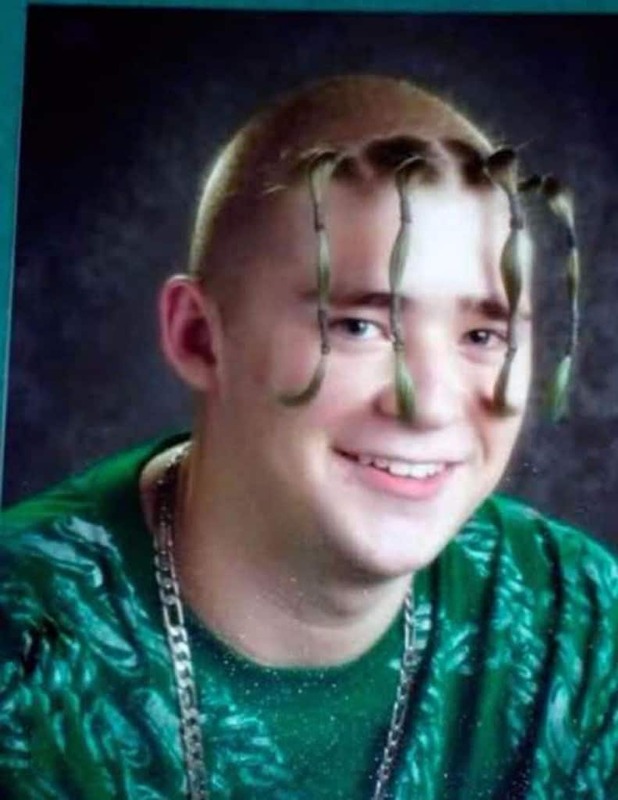 This smiling guy loves the holiday season so much he cut a wreath into his hair. 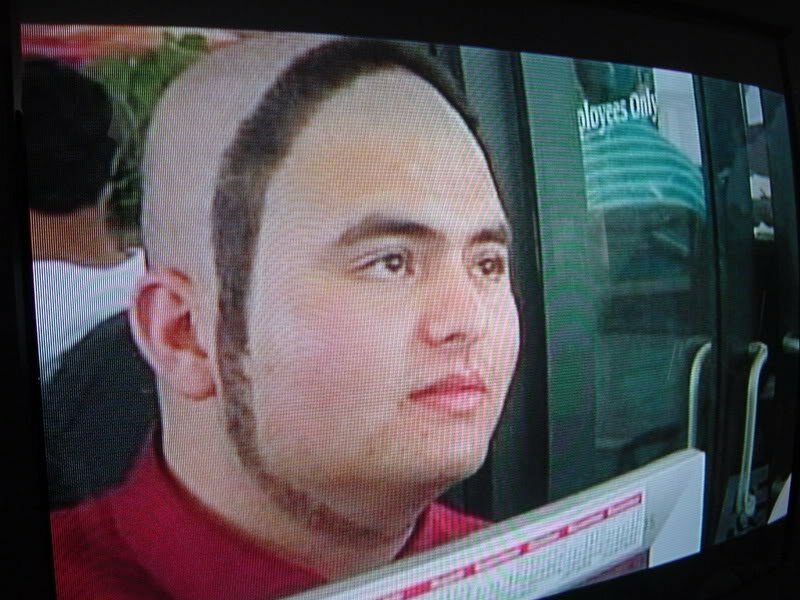 He just wanted to see if his hair would grow into a circle around the face. This young man must like ponytails. 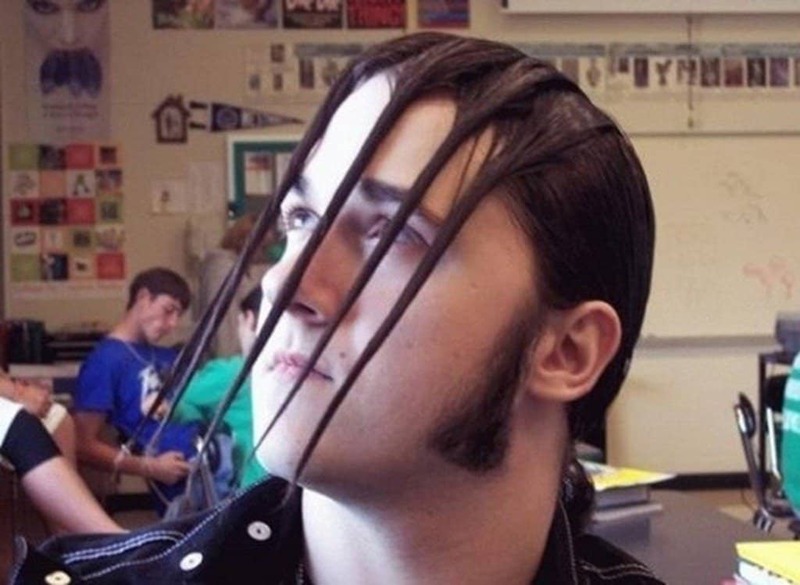 That’s the only way to explain the four twists in the front of his head. 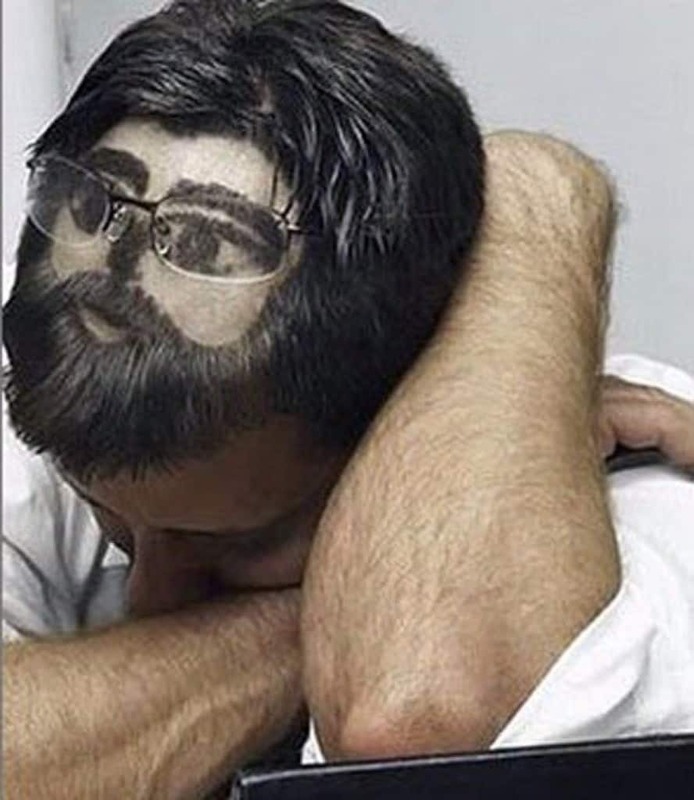 He cut his hair in his image and even added some glasses. We should try this at work.. He must really like mushrooms. 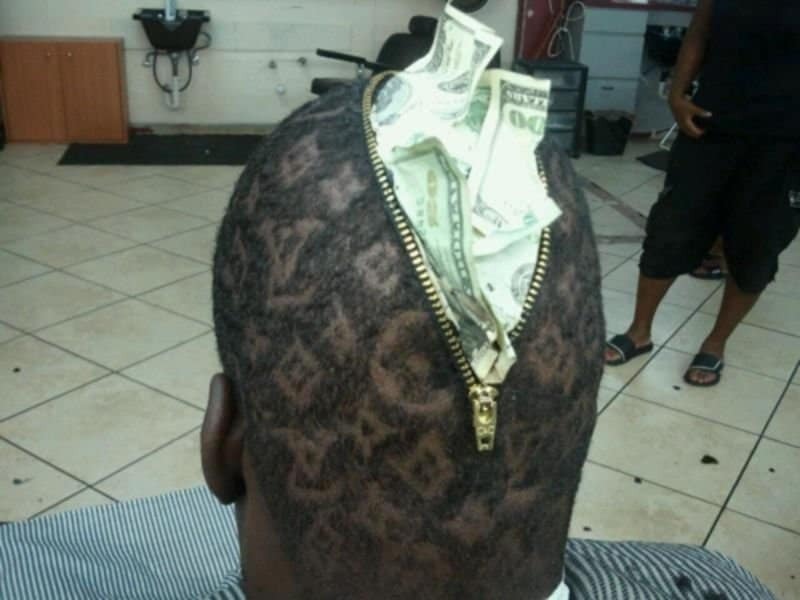 This guy wants to be rich so much he had his head designed to resemble a money bag full of cash. 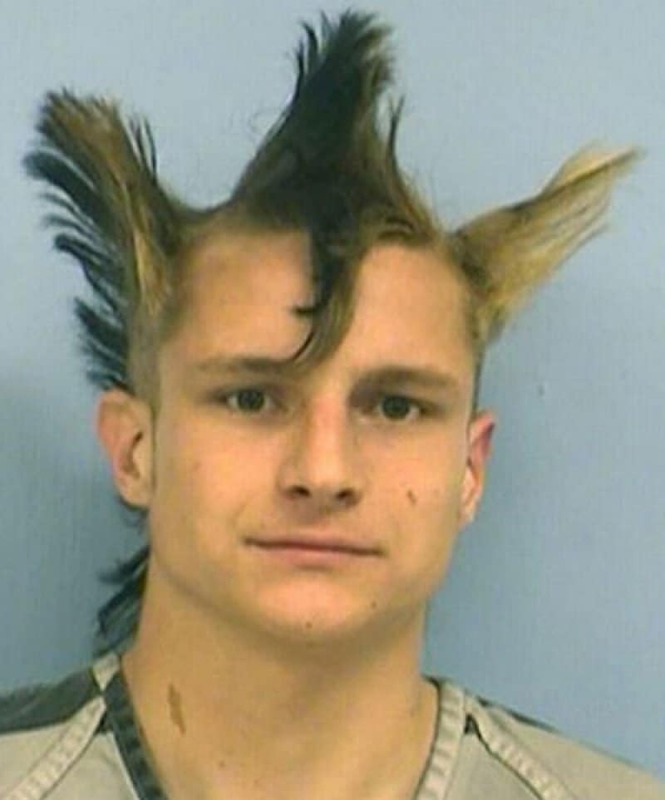 This guy decided the best way to be different is to get three mohawks instead of one. He decided to cut all his hair down the middle and leave one curl. It must be his lucky charm during soccer practice. 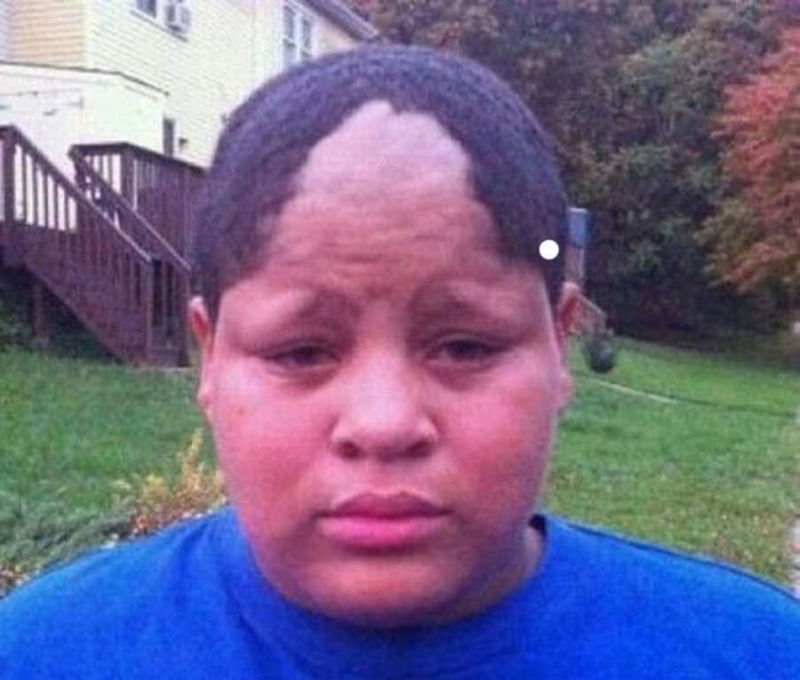 This little boy sat in the wrong barber’s chair. 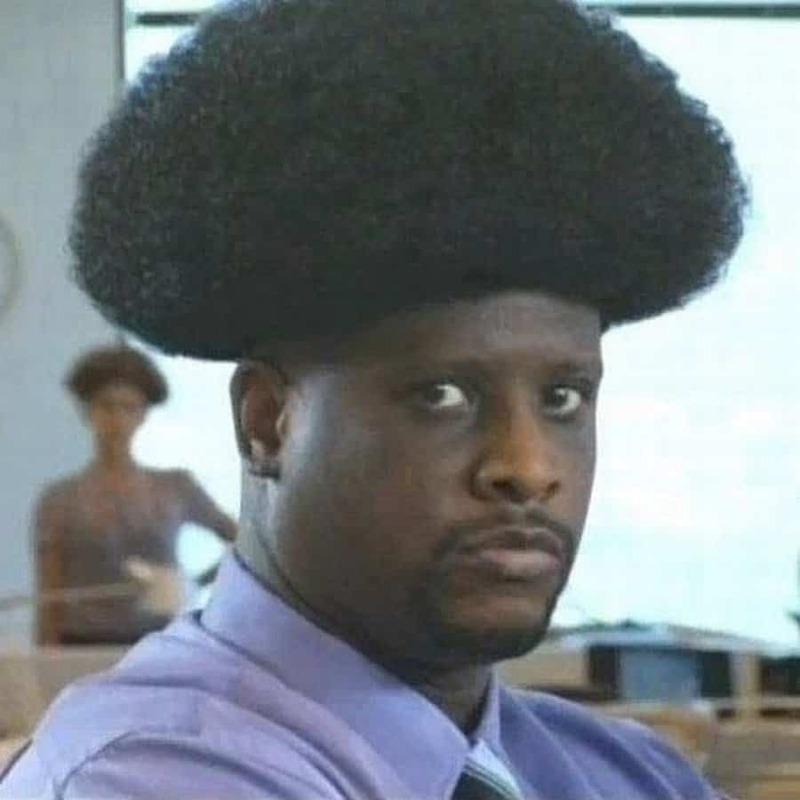 His barber was clearly confused. 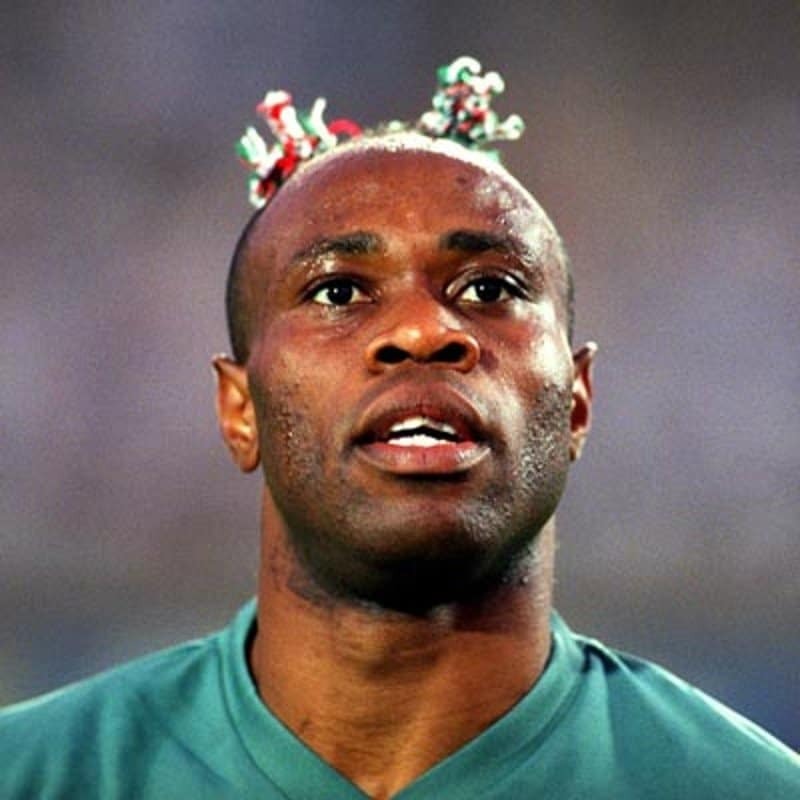 He is so sure of himself that he decided to cut colored stripes into his head that resembles the uniform. The sports player decided to help the cheerleaders out by getting his hair cut and designed to resemble their pom poms. He watched his grandma knit one too many times. 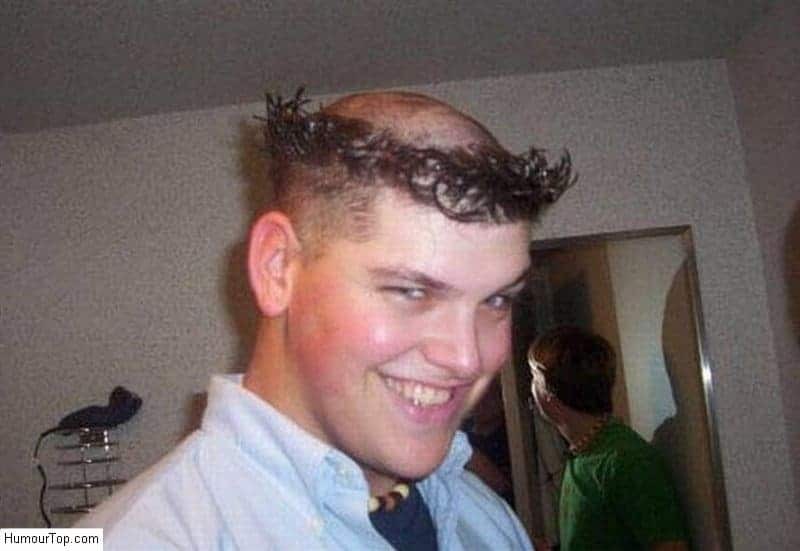 His hair covered his forehead too much, so he clearly wanted to show more of his face. 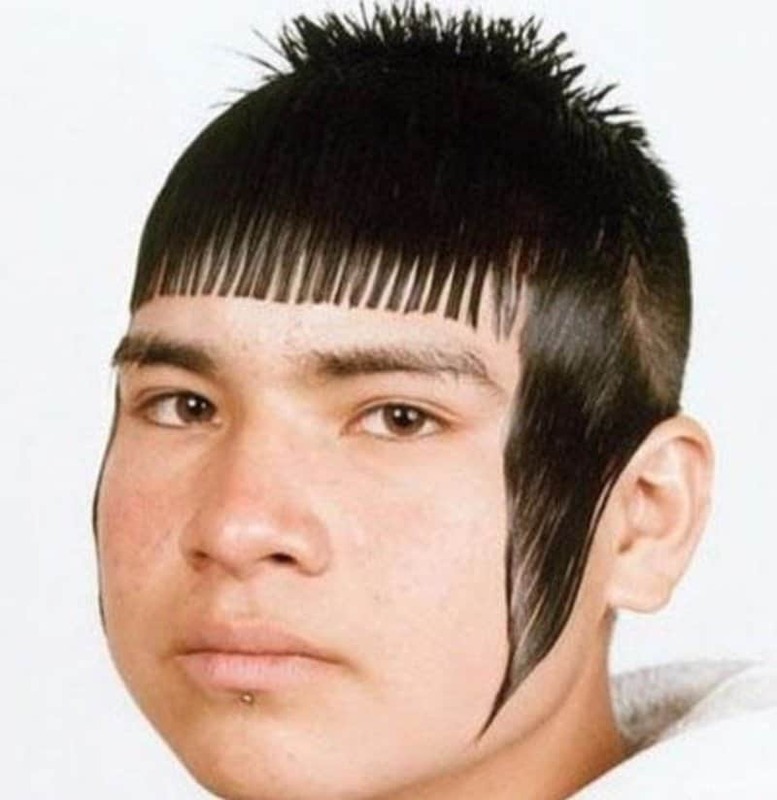 He had his hair cut and styled to resemble the teeth of a comb. This young man loves Friday The 13th movies so much he had his hair cut and styled to resemble his glove. 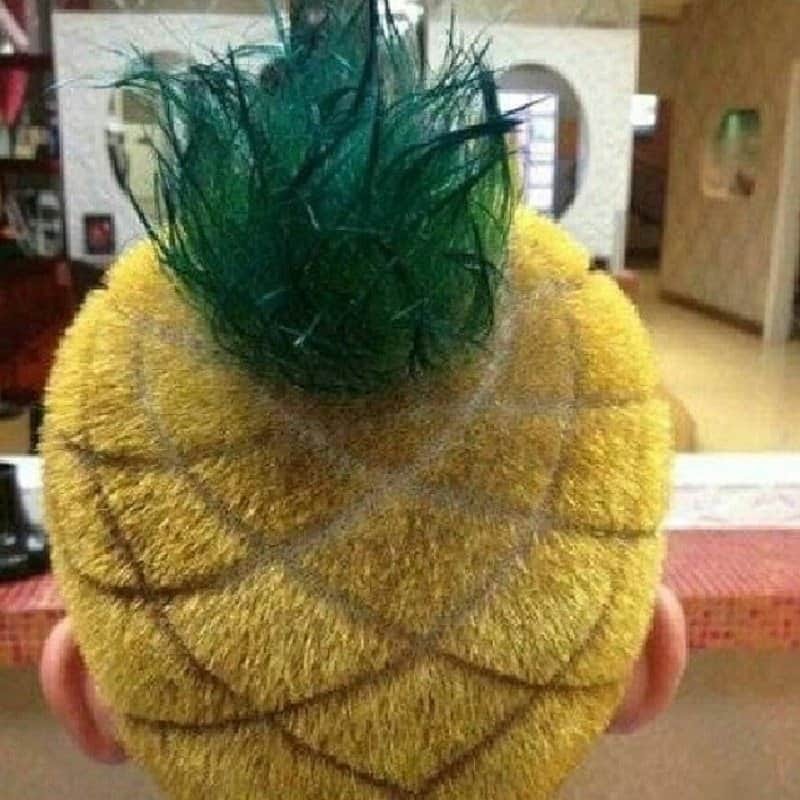 Either this guy wants SpongBob to move into his head, or he’s been living on tropical islands for too long.